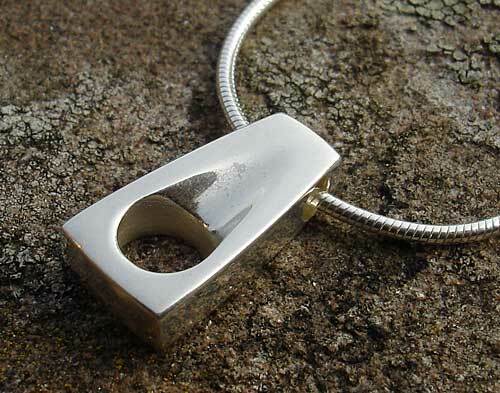 Women's Silver Contemporary Pendant : LOVE2HAVE in the UK! A women's silver designer pendant in a modern contemporary style. 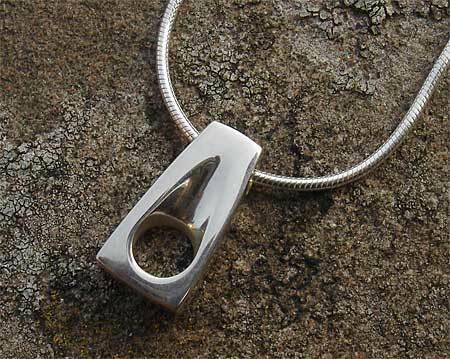 This pendant has a lovely smooth curving and softening to its sleek shaping. It features a smoothed tear drop recessed hole and measures approximately 14mm x 7mm x 3mm threaded onto a 17-inch silver snake chain. We have the polished version featured here.